Day 26 of Thirty Days 2017 found me at Blossoms of Light at the Denver Botanic Gardens. A path sets you through the Denver Botanic Gardens and thousands of lights at this annual event in their Congress Park location. A record setting high temperature in the 70’s is not what you would expect while taking in the holiday season but that is what today found. With my camera I captured some of the scene but then started some abstract pictures with the lights along the path and to the grand finale. 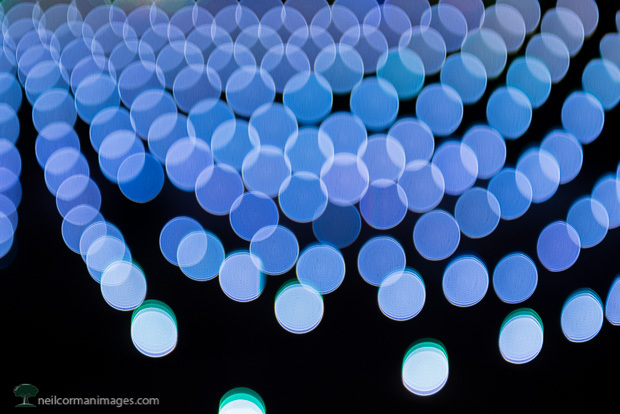 This image is from the final area and using just a little bit out of focus setting was able to capture this look as the lights moved to music.